Find the perfect combination of elegance and delicious cuisine for your Jewish wedding by browsing through the kosher catering services below. 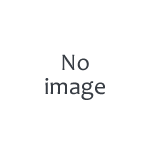 Looking for a caterer or personal cheff that spcializes in smaller events,� such as Sheva Brachos, see the listings in 'Party Catering'. 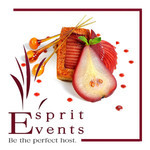 Esprit Events is New York City's leading boutique upscale kosher catering company. As the in-house caterer at the Museum of Jewish Heritage and a preferred caterer at leading venues around Manhattan, Esprit has experience catering for brides and grooms on their very special day. Supervision from the Orthodox Union provides assurance for all guests who follow kosher guidelines and also ensures that all food preparation adheres to the strictest procedures. 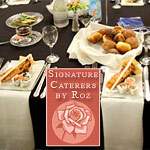 A modern and an innovative New York City catering company, Signature Caterers By Roz is dedicated to delivering unique gourmet cuisine and creative presentation concepts. In our exclusive facility at the Young Israel of Staten Island or at The Vanderbilt at South Beach, Staten Island, The Puck Building (NYC), The Berkeley Hotel (Deal, NJ), The Excelsior (Staten Island), Freehold Jewish Center (Freehold, NJ) or any other venue in the tri-state area, we will bring you the ultimate in Glatt Kosher catering. As the exclusive caterer at the newly remodeled Hewlett-East Rockaway Jewish Centre on Long Island, as well as at venues around the Tri-State area, Culinary Concepts Caterers creates innovative, distinctive events with memories for a lifetime. Under the supervision of Kof-K.
At Crown Royale Caterers, we understand that memories are worth everything. We help all our customers, their friends and their families to create truly special memories by meticulously devoting our attention to every minute detail. 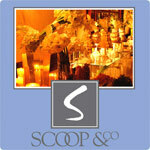 Scoop & Co. was established in 1999 in New York City. This sharp, cutting edge "exclusive kosher catering" company creates unique extraordinary settings for your special events, weddings, corporate and private receptions. With the combination of eye tantalizing floral arrangements, fine custom in house designed linens and sumptuous gourmet dining utilizing new international fusion cuisine, Scoop & Co. has developed a colorful and unique palette designing and delivering events 180� from the ordinary. A trusted name in the catering industry, we cater to a variety of clients and a variety of events, maintaining the highest standards of quality and service, as well as Kashrus. 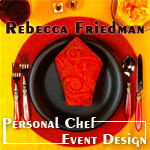 Rebecca Friedman - Your Personal Chef and Event Planner, emphasizes Organic Kosher cuisine and natural ingredients. Her wedding planning style reflects her unique background and experiences. Taste the flavors of world cuisine! Our professional chefs bring to your wedding and simchah tables a variety of culinary cultures, including the popular flavors of France, Italy, and the Middle East. Schedule a totally free tasting and plan your own customized menu. Our philosophy is to constantly innovate in design and decor elements, providing your guests with the most unique and memorable experience. We work closely together with you to capture and then conceptualize your dreams. We are a complete coverage company for all aspects of your events including Food Design, Event Design & Decor, Couture Floral Creations, Rentals, Lighting & Audio and more. Whatever your plans call for - Weddings, Bar Mitzvahs, Dinners & Corporate Events, our knowledgeable catering staff will assist with selecting the perfect facility and menu for your event. 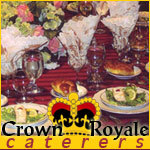 From country clubs, hotels or their own L'chaim Manor - they are the caterers with the royal touch. Since 2006, Dalgar Caterers - Ateres Reva has led the Lakewood NJ. area in catering and event planning. With our innovative designs and wide range of available styles, we can help you plan the event of your dreams and offer you a memorable experience. Everything you always dreamed it would be....That's what we promise you at Classic Caterers. 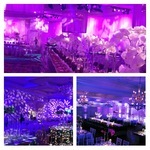 Your event, the most memorable of your life, should be elegant and worry free. As one of the area's most popular kosher caterers, we will turn your dream into a reality, at your location or one of ours. Gourmet menus, fine linens & china, and excellent staff. Call us for a worry free experience. Our mission is to interpret your needs and translate them into an event that exceeds your expectations. At Ram, we realize the importance of choosing the perfect venue, the flowers that are just right, and the caterer that has the knowledge to assist you with the many decisions you will have to make during this time. Our goal is to guide you on this journey to make it an enjoyable and exciting experience for all involved. Rave Events, is the NY metro area's preeminent caterer. 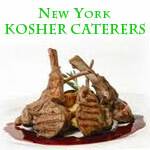 We are glatt kosher and cholov yisroel, and have offices in Manhattan, Westchester, and New Jersey. Rave Events - Kosher Catering that Transcends all Others! We pride ourselves on our distinguished reputation, elegant epicurean offerings, devoted clientele, and commitment to excellence. We invite you to create something legendary. Founded in 1986, Elite Caterers, has been providing the Jewish community with superb service, and culinary delights to meet the highest level of kashrus while tantalizing the most discerning palettes. 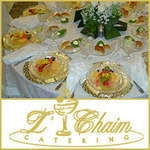 Lederman Caterers is proud to provide kosher catering services across the New York and the greater tri-state area. Select one of our two venues in Great Neck or we can help you find the perfect location and do everything necessary to create a beautiful, elegant, and fun event. No guest list is too big or too small for our off-premise events team. 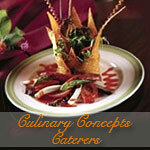 At New Star Caterers, we work closely with each client to plan the perfect menu and assist with every detail. You dream it - we'll do the rest. 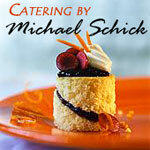 Greenwald Catering specializes in custom catering. Yoni Siletski Founder/Owner of Take a Break Catering is Le Cordon Bleu trained at the Pennsylvania Culinary Institute. Yoni and his team enjoy working with clients to create customized menus and delicious memories. From vegan/vegetarian to organic to dishes with Asian flare; you name it and we can cook it best! Dear & Delicious is Staten Island's finest glatt kosher caterer. We are the exclusive caterers at the Greenbelt Manor JCC, nestled within Staten Island's idyllic Greenbelt. We offer personalized events with excellent service and gourmet cuisine with traditional as well as contemporary inspired menus.